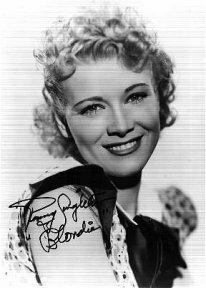 Penny Singleton played the role of Blondie in 28 films and on the radio between 1938 and 1950. The Blondie and Dagwood movies were based on the famous comic strip by Chic Young. Later, Ms. Singleton became the first woman President of an AFL-CIO-affiliated union, AGVA, the American Guild of Variety Artists. Mariana Dorothy Agnes Letitia McNulty was born in 1908 to an Irish-American family in Philadelphia. Her father was newspaperman, Benny McNulty who was related to Jim Farley, Roosevelt's campaign manager and later Postmaster General. She showed an interest in show business at an early age. At age eight, billed as "Baby Dorothy," she sang and danced during intermissions at a silent movie theater. After finishing grade six in elementary school she joined a touring vaudeville act called "The Kiddie Kabaret" and became an accomplished performer. Penny has said that "If I wanted something badly enough, I’ve gotten it… It’s just my Irish stubbornness." At 14, while living at home and taking dancing lessons from a Mr. White, she wanted a fur collar for her coat and couldn’t afford it. So, she staged a show for the neighborhood kids and went on to put up a sign announcing "Dancing Lessons at Half the Price of Mr. White’s." She earned enough to buy the fur collar. Later in life she briefly attended Columbia University but soon left to perform on Broadway where she made her debut in the musical Good News in 1927. Dorothy reprised her stage role in the film version in 1930, and then spent the next six years playing bit parts in movies. 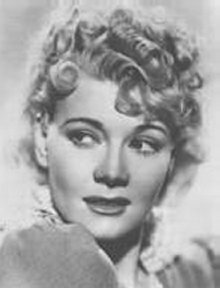 When she went to Hollywood she took a new name after marrying dentist Lawrence Singleton; the first name derived from having saved large amounts of penny coins. 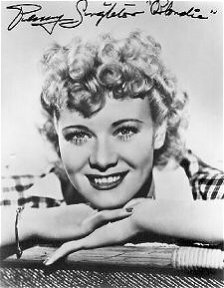 Billed as Penny Singleton she sang and danced with Milton Berle and Raymond Guion (Gene Raymond). Her first speaking part was in a Jack Benny Broadway show "Great Temptations". She played a tough nightclub dancer in "After the Thin Man" (1936) and acted/sang/danced in the movie Humphrey Bogart regarded as his worst ever "Swing Your Lady" (1938). Her big break as Penny came in 1938. 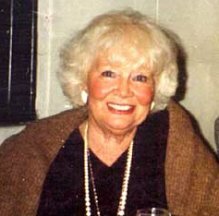 Actress Shirley Deane had been cast in the title role of Blondie for the film version of the popular Chic Young comic strip. 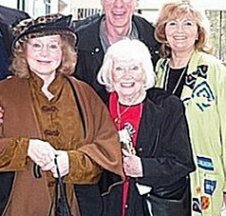 When Shirley was unable to do the film, the redheaded Penny died her hair blonde and nabbed the part. 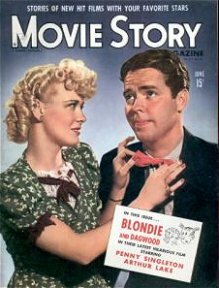 The Blondie films — also starring Arthur Lake as Dagwood Bumstead — would become an institution as the studio churned out 28 of them between 1938 and 1950. During this period, she married for the second time to Blondie producer Robert Sparks. When the opportunity to play Blondie came up, she threw herself into knowing this comic strip character. She said, "I felt a strange kinship with [Blondie’s] problems and triumphs. I thought and I lived her." Blondie has an energetic sunniness, and affection for her husband, Dagwood Bumstead, yet is constantly nagging him about getting a raise and scheming about buying things. This infuriates Dagwood and always leads him into trouble. Blondie also has contempt seeing Dagwood as a helpless baby. But in many instances, she comes to see the error of her ways and is regretful. Blondie: Judge, Your Honor! Don’t, please don’t! Judge: Order, order! What is your connection with this case? Judge: …In that case, proceed with what you have to say. Blondie: It’s all my fault, Your Honor… Mother would have loaned him her car. Only he forgot to ask her. It’s all my fault. I’m the one to be punished… You see, it all started because I kept nagging him about a raise. Blondie: Yes, I did, too! Dagwood: No, you didn’t, dear! Judge: Now listen, make up your mind! Did she, or didn’t she? During the 12-year run of the Blondie series, Penny Singleton had little success in being hired for other roles because producers, directors and even audiences saw her as Blondie and nothing else. Penny, however, was a shrewd businesswoman. She created the concept of residuals — the practice of paying actors for repeat broadcasts of their shows or movies — and had a residuals clause written into her Blondie contract. Penny even coined the term residuals. Once the Blondie craze reached the end of its run in the early 50’s, she found herself out of work. 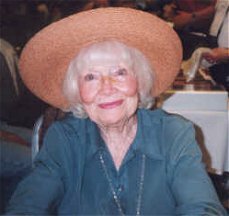 She was known as an All-American housewife popular comic strip character and had received thousands of letters a year from women asking her advice on everything from budgeting to cooking. She had liked this aspect of being Blondie, but clearly she was anxious to broaden her horizons as an entertainer. 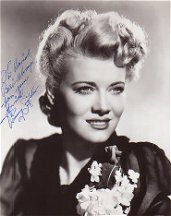 Rather than becoming bitter and retreating as many other typecast actors have done, she got more energetic, saying: "When the show closes, get a new act" and went on tour with her own night club show. This eventually led to USO tours in Korea military bases. 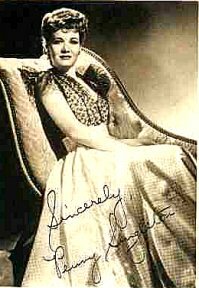 Penny Singleton took on an entirely new role in the 1960s when she was elected vice president of the American Guild of Variety Artists (AGVA), a performers' union. Entertainment workers in those days of daily live performances were exploited by the theaters, and often put in seven-day weeks with no allowed sick days. Performers' pay was docked if they missed a performance, no matter what the reason. 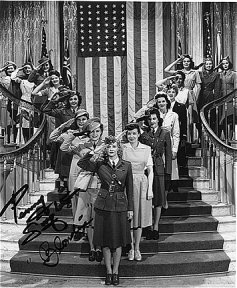 Penny Singleton was adamant that producers and club owners making a profit from variety artists’ work be classified as employers, and pay social security and unemployment compensation, as well as contribute to pension plans -- something they had never done before. 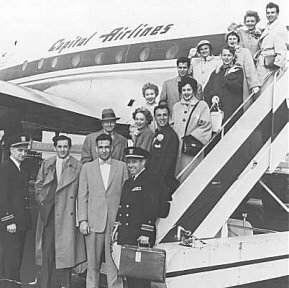 In New York, the union had been controlled by members of the organized crime families who stole the union's money and did nothing for the workers' welfare. Penny was determined to drive out the Mafia and she succeeded, but not without some personal danger. In the late 60’s, after an intense two-month strike led by Ms. Singleton against the famous New York Latin Quarter nightclub, rather than agree to these terms, it closed down altogether. In 1967, she led the Rockettes in a successful strike against Radio City Music Hall and 1969, she was instrumental in starting the first AGVA branch office in Las Vegas. In the summer of 1970, she led the first ever strike against Disneyland. At that time, Disney was recruiting college students to do the work, giving college credit and housing for the summer in lieu of higher wages. Penny became known to subsequent generations of Americans as the voice of Jane Jetson, the space-age cartoon mother with the fabulous kitchen, the robotic maid, and the flying car. She was married three times and had two daughters. Penny was awarded three stars on the Hollywood Walk of Fame, one of which was recently re-dedicated as the original one was destroyed due to construction on the strip at that location. Elected president of AGVA (American Guild of Variety Artists) in 1969. Led first strike of Radio City Music Hall Rockettes, gaining improved working conditions (1966). First woman president of an AFL-CIO union. Honorary Doctor of Fine Arts degree, St. John's University (1974). A Star on the Hollywood Walk of Fame At 6547 Hollywood Blvd. Penny and Arthur probably did more movie sequels than any other actors (28 Blondie films). Others in the running include: Chester Morris as Boston Blackie in 14 films, Johnny Weissmuller in 13 Jungle Jim and 12 Tarzans, and Johnny Sheffield in 10 Bombas. 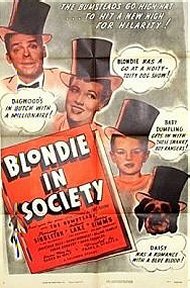 Dagwood's name did not appear in the title of any of the Blondie movies. Edward Bernds, who wrote and directed many of the films, stated that Lake and Singleton were so competitive, they would actually count how many lines of dialog each got in the script. The town of Corbin, Kentucky was the birthplace of Arthur Lake whose real surname was Silverlake. Lake's parents were trapeze artists billed as The Flying Silverlakes. Penny was the recipient of Humphrey Bogart's first onscreen kiss in Swing Your Lady. 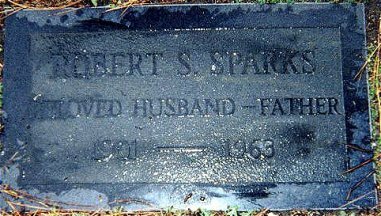 Robert Sparks and Penny had two daughters: Susie and Dorothy. Penny got her nickname from collecting pennies in a jar. 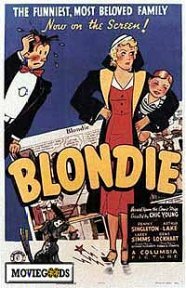 Actors with supporting roles in the Blondie movies who later became well known: Rita Hayworth, Robert Sterling, Bruce Bennett, William Frawley, Jimmy Durante, ZaSu Pitts, Lloyd Bridges, Glenn Ford, Hans Conreid and Anita Louise. Victory Photos Old Mirror Site 1 ~ Site 2 .